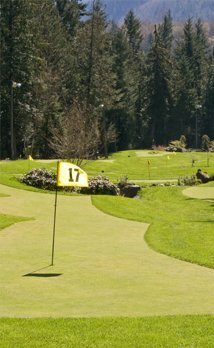 The West Coast Pulp Charity Invitational golf tournament was started in 2005 by five individuals working within the BC forest products industry. The idea behind the golf tournament and the charity organization, Forest Legacy Foundation, was to be able to give something back to the community that supports our business and to support a good cause directly linked to the forest product business. The Canadian pulp industry is a key supplier of wood fibre in the production of paper for newspapers, books, catalogues, and magazines throughout North America, so it is a natural fit for our group to support literacy awareness. From the beginning, the West Coast Pulp Charity Invitational has partnered with the Raise-a-Reader campaign to support child and family Literacy Programs throughout the province of British Columbia. We are proud to state that the majority of money raised goes directly to the literacy groups and that the BC government has also contributed significantly in past years. This annual golf tournament is generously supported by various forest products companies, international pulp agencies, global transportation companies, business services and industry analysts. Participants attend from around the globe. Since 2005, with the BC Government's support of contributions, we have raised over $1,400,000 for the Raise-a-Reader campaign and to programs raising literacy awareness. We are proud to be the single largest fundraiser to Raise-a-Reader in the BC region. In 2015, celebrating our 10th year, with the continued support of our sponsors we were in a position to expand our partner network and are proud to have partnered with Breakfast Club of Canada. Breakfast Club of Canada is a Canadian nonprofit organization dedicated to children's development and academic success by ensuring vulnerable children receive two essential elements for growth and learning: a nutritious breakfast and an environment that fosters self esteem. Our commitment will ensure that 5 schools in low income neighborhoods in communities in British Columbia develop or maintain their breakfast programs. The opportunity for a child to learn is fundamental to their success. Our commitment to Breakfast Club of Canada further supports the Forest Legacy Foundations' mandate that literacy is an investment for the future of our children. "The opportunity for a child to read is fundamental to being successful in life. The West Coast Pulp Charity Invitational believes in giving back to our communities and we truly believe literacy is a positive investment for the future of our children"